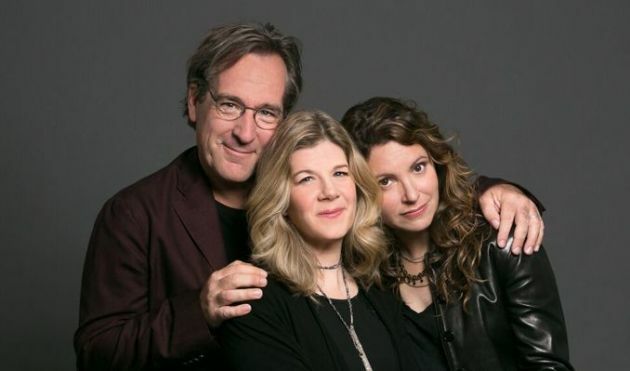 Cry Cry Cry may not be as star-studded as Traveling Wilburys or The Highwaymen, but for folk aficonados, the teaming of Dar Williams, Lucy Kaplansky and Richard Shindell qualifies as a supergroup. The trio, which hasn't performed together in the Twin Cities for nearly two decades, swapped some of their best known singles and mostly obscure covers Friday night, turning the seats of the Pantages Theatre into logs surrounding a crackling fireplace. The artists were at their best with just one acoustic guitar and the singers surrounding one microphone, creating pitch-perfect harmonies on James Keelaghan's "Cold Missouri Waters," Julie Miller's "By Way of Sorrow" and Williams' "Iowa," for which the Minnesota audience put aside any state rivalry to join in on the chorus. The biggest surprise of the night was Shindell's soulful take on the Psychedelic Furs' "The Ghost in You." Earlier in the evening, Williams told the audience that she had written "Something To Get Through" for a Minneapolis friend who was going through a divorce. The man eventually reconciled with his wife -- at least temporarily. He evenutally did get divorced -- but the song could no longer serve as a source of comfort. "He was all processed by that time," she said. After the number, Kaplansky said it was the most complicated song she's ever had to harmonize on. "And that's just so fun," she said.